The Hannah News team compiled condensed biographies for all 16 of the newly elected state representatives. Rep. Carolyn B. Jackson (D) of Hammond represents HD 01. Born in Chicago and raised on the South Side, she and her husband, parents of two adult children, have been Hammond residents for more than 18 years. She received her Bachelor’s and Master’s degrees in Sociology and Counseling from Lincoln University in Missouri, and is retired from the Cook County Adult Probation Department after 30 years of service. She has served on the Hammond Library Advisory Board. Rep. Ragen Hatcher (D) of Gary represents HD 03. The daughter of Gary’s first African American mayor, Hatcher most recently served on the Gary City Council. She earned her undergraduate degree in Economics, followed by a law degree and an MBA, from Valparaiso University, as well as a Master’s in Finance from Indiana University Bloomington. She has served as director of the Valparaiso Law School Tax Clinic, and was the in-house counsel for the Gary Community School Corporation. Rep. Patricia A. (Pat) Boy (D) of Michigan City represents HD 09. A four-term member of the Michigan City Common Council, she grew up in Chicago as the daughter of a union worker. She earned a Bachelor’s degree in English and has been a union worker herself, as well as a manager, and for the past 25 years, a small business owner in Michigan City. When her husband was seriously injured in a car accident that rendered him a quadriplegic, she became his only care giver, and says that she only just paid all his medical bills before his death in 2016 after the Affordable Care Act became law and he was finally eligible for a Medicare supplement policy. She has a son who lives in Michigan City with his family. Rep. Chris Chyung (D) of Dyer represents HD 15. The 25-year-old was born in Merrillville, graduated from Munster High School, earned a Bachelor of Science from Columbia University in Industrial Engineering for Education, and interned for Morgan Stanley. A financial analyst, he most recently worked for Pangea Properties, a unique Chicago-based REIT, and now owns his own real estate company, Koh Holdings LLC. He volunteers for the Habitat for Humanity Restore, the Welcome Network, and as a Court-Appointed Child Advocate. Rep. Lisa Beck (D) of Crown Point represents HD 19. Born and raised in Crown Point, she attended St. Mary’s School, and her father was a UAW member. She attended Purdue University Westville while her daughters (now adults living in The Region) were in school, and earned a degree in accounting. She then earned her law degree from Valparaiso University. She has been married for 36 years to the USW Local 12775 union president for NIPSCO workers. After working as a Lake County deputy prosecutor, she started her own private law practice in 2012. Active with the Dunes Learning Center and Junior Achievement, she most recently founded NWI Supporting Women, an organization which seeks to encourage women to take a greater role in public service and get involved within their own communities. Rep. Chris Campbell (D) of West Lafayette represents HD 26. Born and raised in LaPorte, she arrived in West Lafayette in the fall of 1987 to study at Purdue University and stayed in the Lafayette area until 1992, when she finished her Master’s degree in Audiology. After their first child was born, she and her husband returned to Lafayette to raise their family. Her husband is a scientific programmer at Purdue and their two children are both adults. She served on the West Lafayette Library Board and the West Lafayette Redevelopment Commission. Rep. Tonya Pfaff (D) of Terre Haute represents HD 43. She is a native of Terre Haute, where her father (a former aide to U.S. Sen. Birch Bayh (D) and Evan Bayh (D)) ran for mayor, and one brother serves on the city council (another is director of the Peace Learning Center in Indianapolis and third brother was a top political aide to then-Gov. Frank O’Bannon (D)). An alumnus of Terre Haute North Vigo High School where she became the county basketball scoring leader (while also earning eight varsity letters in three sports), she was recruited to play basketball at West Point Military Academy and after 18 months transferred to Saint Mary-of the-Woods College where she graduated with a degree in mathematics and secondary education. She subsequently earned a master’s degree in educational administration, curriculum, and supervision from the University of Oklahoma. After college, she spent a year teaching English in Tajimi, Japan, Terre Haute’s sister city. Upon returning to Terre Haute, she taught math and coached for three years at Terre Haute South Vigo, taught math for 15 years at West Vigo, and has spent the last six years teaching at North Vigo. Her husband is director of strategic initiatives for the Indiana National Guard, headquartered in Indianapolis, and they have four children, two in college and two in high school. Rep. Rita Fleming (D) of Jeffersonville represents HD 71. Dr. Fleming grew up in the West End of Louisville. She graduated from Murray State University, and earned graduate degrees from Vanderbilt University and the University of Louisville. She was a registered nurse, then a nurse practitioner, and after completing medical school and residency, began a career as an obstetrician/gynecologist. She has lived in Southern Indiana for more than 30 years. Dr. Fleming delivered over 7,000 babies at Louisville hospitals and Clark Memorial Hospital, taught medical students for nine years, and currently works part-time as an obstetrical hospitalist. She was married for 42 years to a man who was a counselor at Parkview Middle School for most of his educational career, and has four adult children (including a Navy pilot and a reservist) and 14 grandchildren. She served on the Jeffersonville Planning Commission and Zoning Boards through different administrations, has been on the local Main Street Board since 1999, and serves on the Library Foundation Board. Rep. Ethan Manning (R) of Denver represents HD 23. A lifelong Hoosier born in Peru, he raised beef cattle on his sixth-generation family farm. The 26-year-old is a real estate broker and owner of Manning Auctions, president of the Miami County Council, and chair of the Miami County Republican Party. The oldest of five brothers, he attended Ball State University and received his Bachelor’s degree in Business Management from Western Governors University. He has chaired the Indiana State Board of Registration for Professional Engineers under a gubernatorial appointment. He was Assistant Northeast Indiana Regional Director for the Office of U.S. Senator Richard G. Lugar (R) during 2011-2012 and State Chair for the Indiana Federation of College Republicans in 2012-2013. He was one of Indiana’s 11 presidential electors for the Electoral College in the 2016 U.S. presidential election. Rep. Chuck Goodrich (R) of Noblesville represents HD 29. Goodrich is president of Gaylor Electric, Inc., one of the largest merit electrical companies in the Midwest, having begun his career there in 1991 as an intern. Goodrich serves on the board of directors for National Associated Builders and Contractors, chairs the Riverview Health Foundation, and is chair-elect of the Purdue Construction Advisory Board for Building Construction. He graduated from Purdue University with a Bachelor’s degree in building construction/contracting, is an alum of the Clemson University Project Management Academy, and earned an associate of science degree in architectural drafting from Vincennes University. He and his wife have four children and have participated in church mission projects in Panama. Rep. John “J.D.” Prescott (R) of Union City, 26, represents HD 33. A farmer who lives in Randolph County, he went to work on the family farm after he graduated from Winchester Community High School in 2010. President of Randolph County Young Farmers, he and his wife have one son. Rep. Beau Baird (R) of Greencastle represents HD 44. Raised in Greencastle, he succeeds his father in the seat after Jim Baird (R) opted for a successful CD 04 congressional bid instead of re-election, and Beau Baird ran his primary campaign. The younger Baird is chief financial officer for Indiana Home Care Plus, for which he has worked since 2004, and the owner/operator of Baird Ranch, one of the largest quarter horse breeders in the state. He has served on the International Board of Directors for the American Quarter Horse Association. The chair of the Putnam County Republican Party earned his Bachelor’s in Finance and Financial Management Services from Purdue University in 2004 and has international educational credentials as well. He is working on a graduate business degrees at Purdue’s Krannert School of Management and a Master’s of Finance at the Harvard University Graduate School. Rep. Christy Stutzman (R) of Middlebury represents HD 49. The wife of former U.S. Rep. Marlin Stutzman (R), who also served in both chambers of the General Assembly, she earned a degree from the Pensacola Christian College in Music, Voice, and Opera. After serving as CEO of Ava Laurenne Bride, a bridal shop outside Washington, D.C., she branched out as a freelance writer/editor. She and her husband have two children. Rep. Bradford Barrett (R) of Richmond represents HD 56. Dr. Barrett has been a resident of Wayne County since 1993, and is recently retired from the practice of medicine, where he was a general surgeon. A University of Notre Dame undergrad, he earned his M.D. from The Ohio State University College of Medicine. A former board member of Reid Hospital, Dr. Barrett is currently secretary-treasurer of the Indiana Chapter of the American College of Surgeons and serves on the legislative committee of the Indiana State Medical Association. He and his wife have two adult children. Rep. Ryan Lauer (R) of Columbus, 40, represents HD 59. The life-long Hoosier is a graduate of Indiana University with a Bachelor of Science degree in Biochemistry. He has been employed by Cummins for more than a decade and is currently a technical specialist in test technology engineering. He was president of the Bartholomew County Council in 2014. He and his wife, have two young daughters and an infant son. He is an accomplished violinist and has performed seasons with the Columbus Philharmonic, Indiana University Symphony, LaPorte Symphony, and Valparaiso University Symphony Orchestras, and is also an avid bluegrass fiddler. Rep. Matt Hostettler (R) of Fort Branch, 32, represents HD 64. Born in Evansville, he grew up in Blairsville and attended North Posey High School before earning his Bachelor of Science in Management from Purdue’s Krannert School of Management. His father is former U.S. Rep. John Hostettler (R). Matt Hostettler works for CountryMark Refining and Logistics as a crude oil gauger and pipeline operator. He and his wife have two young sons. 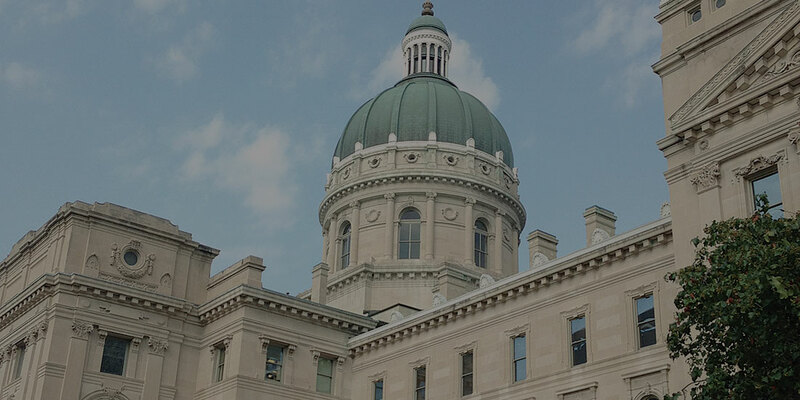 The Insight newsletters – products of Hannah News – have been compiled & published by the most experienced journalism team covering Indiana politics for more than 30 years. Meet our team. @thekatieblair Thx fir the kind words. Just swing by 311 W. Washington. We'll hook you up.